This is a curved rectangular Kernan Stoves and Ranges porcelain sign. This particular Kernan Stoves and Ranges sign is white with blue text. 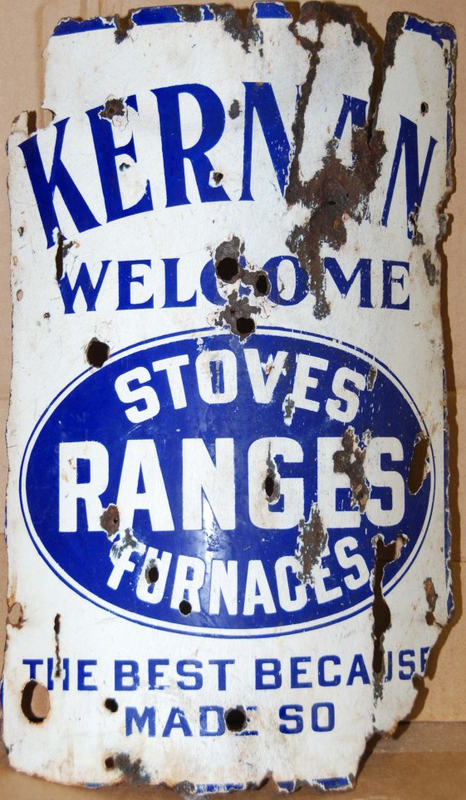 It reads, “Kernan Stoves, Ranges, Furnaces, Welcome, The Best Because Made So” and features a blue oval in the center.